"Read everything that is good for the good of your soul. Then learn to read as a writer, to search out that hidden machinery, which it is the business of art to conceal and the business of the apprentice to comprehend." In The Hidden Machinery, critically acclaimed and New York Times bestselling author Margot Livesey offers a masterclass for those who love reading literature and for those who aspire to write it. Through close readings, arguments about craft, and personal essay, Livesey delves into the inner workings of fiction and considers how our stories and novels benefit from paying close attention to both great works of literature and to our own individual experiences. Her essays range in subject matter from navigating the shoals of research to creating characters that walk off the page, from how Flaubert came to write his first novel to how Jane Austen subverted romance in her last one. As much at home on your nightstand as it is in the classroom, The Hidden Machinery will become a book readers and writers return to over and over again. Why is so much writing so bad, and how can we make it better? Is the English language being corrupted by texting and social media? Do the kids today even care about good writing--and why should we care? From the author of The Better Angels of Our Nature and Enlightenment Now. In this entertaining and eminently practical book, the cognitive scientist, dictionary consultant, and New York Times-bestselling author Steven Pinker rethinks the usage guide for the twenty-first century. 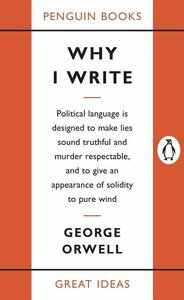 Using examples of great and gruesome modern prose while avoiding the scolding tone and Spartan tastes of the classic manuals, he shows how the art of writing can be a form of pleasurable mastery and a fascinating intellectual topic in its own right. 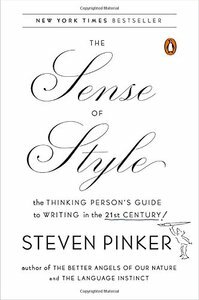 The Sense of Style is for writers of all kinds, and for readers who are interested in letters and literature and are curious about the ways in which the sciences of mind can illuminate how language works at its best. 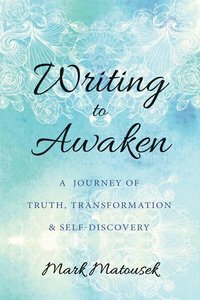 Writing to Awaken is an inspirational investigation of the self through expressive writing, guiding you along the path of awakening through radical truth-telling and self-inquiry. With targeted and revelatory questions, you'll be prompted to explore your own personal narrative--to write honestly about your deepest wounds, greatest challenges, hidden gifts, yearnings, and opportunities for growth--in order to discover a deeply authentic understanding of yourself and move toward a more liberated, truthful life. We each have our own story, a personal myth constructed from the content life presents us: we connect dots to shape the narrative, devise plotlines from circumstance, change characters, fashion conflicts, and adjust structure, settings, and themes as our lives unfold. But so often, over time, we come to believe that we are our story, identifying so strongly with the tales we've told ourselves and others that we cling to them for our very existence--even when they don't quite fit. The realization that there's a discrepancy between the narrative you've crafted and your authentic self can be disconcerting at first, but the exploration of that gap is a doorway to personal freedom, and this book will lead you through it. The writing exercises in this guide, one for nearly every week of the year, ask you to tell the whole truth about your experience. In doing so, you'll come to realize that once you engage in this radical truth-telling, expressing yourself with complete honesty, your story changes; and when your story changes, your life is transformed. Rather than sticking with your illusive and tricky "Story of Me," you'll be prompted to go even deeper, piercing your personal myth and illuminating aspects of psyche and spirit that give way to profound moments of understanding and personal healing. This is not a how-to book for writers; it's an invitation on a journey of self-discovery--a guide to facing yourself without flinching, accepting yourself as you are, surrendering to what is, and daring to question and transform what isn't true. With Writing to Awaken, you'll learn how to break free from the trance of mistaken identity and discover your essential, authentic self.